It’s a funny take on the situation in Ayushmann’s family, when his elderly parents are set to welcome a third child in the family. A baby’s arrival in the family is always a news that cheers everyone up, but what if the same news leads to chaos? This is what Amit Ravindernath Sharma’s second film, Badhaai Ho, is all about. Slated to hit the silver screens on October 19, the quirky family comedy has Neena Gupta, Ayushmann Khurrana and Sanya Malhotra in lead roles. Ayushmann says that he loved the script the moment he heard it and agreed to do it. “I have graduated from films such as Vicky Donor and Shubh Mangal Saavdhan. These films were on subjects that are considered a taboo. Badhaai Ho can be called a prequel to Vicky Donor. But honestly this is a clean film and should get a U certificate,” says the actor, who was last seen in Andhadhun, released last week. Neena Gupta, whose art films with directors such as Shyam Benegal and G Aravindan got her recognition as a reputed actor, will be seen essaying the central character of the mother in the film. 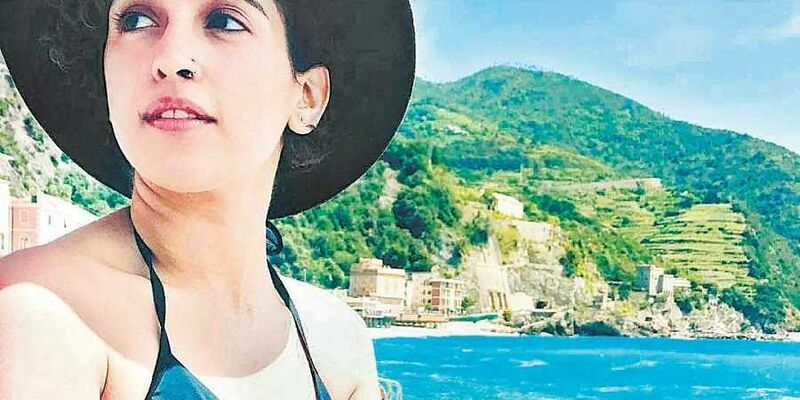 Meanwhile, this will be Dangal star Sanya Malhotra’s third on-screen performance after Pataakha. She plays Ayushmann’s girlfriend Renee in the film. “Though after narration of the script one takes his/her time to think, this time I didn’t. I wanted to be in the character immediately. Renee is an open-minded Delhi girl, who reacts to every situation very calmly. In the entire film, she is the only one who understands the situation,” says Sanya. Interestingly, Gajraj Rao, who plays Ayushmann’s father in the movie, had his second son after a gap of 10 years. While Ayushmann says such situations can be embarrassing in real life, Sanya disagrees. “If two people are in love, they can do whatever they want to,” she says. About working with actors like Neena, Gajraj and Surekha Sikri, Ayushmann says, “It was a fantastic experience. They are the actors whom I have looked up to all my life. Both Gajraj and Neena are spontaneous, but very calm and composed at the same time.” Neena, who was last seen in a serious role in Mulk, is enjoying this phase. “I am getting such lovely scripts. I am doing a Web series for MAD Films for Alt Balaji. Sanya has signed her next with director Ritesh Batra titled Photographer. “The film stars Nawazuddin Siddiqui,” she announces. Ayushmann has Shoojit Sircar’s Abra Ka Dabra in his kitty. “There’s a lot more happening but I am waiting for the announcements,” he adds. Neena, on the other hand, is hopeful that she will get to do more interesting roles.